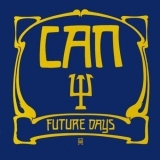 Future Days is ranked 3rd best out of 22 albums by Can on BestEverAlbums.com. The best album by Can is Tago Mago which is ranked number 166 in the list of all-time albums with a total rank score of 16,338. Members who like this album also like: Tago Mago by Can, Ege Bamyasi by Can and Marquee Moon by Television. Related links: top tracks by Cantop tracks of the 1970s, top tracks of 1973. Showing latest 5 ratings for this album. | Show all 408 ratings for this album. Not an everyday listen, but there's some genuinely interesting stuff here. This album to me feels very similar to Talk Talks acclaimed albums. Slower and more ethereal (in comparison to earlier can releases at least), and albums that I find generally dull, though I can totally see why others might love them. Future Days just lacks the primal feel of Tago Mago and Ege Bamayasi. Great album to relax or meditate to. Also great to dance or rock out to. Aaaaand to drive or bike to. It's just good. Their second best record. Krautrock + Ambient = Great sunny day album. Interesting, soft sound. No weak moments. Bel Air is the best band's song. I think Future Days should between 101st and 200th positions. More great atmospheric stuff from Can. Not quite as good as the brilliant, tago mago, and, ege bamyasi. Still, it is Can, so it's always worth a listen. Their third best album. While Tago Mago may be Can at its most experimental, Future Days is Can at its smoothest. While it may not have the type of moments that Tago Mago has, it doesn't have a single bad moment, a single misplaced not, a single incorrect choice in its entire length. Future Days and Bel Air are the best tracks, but Moonshake and Spray are nothing to ignore. Can doesn't get much better than this.